We spend time with you creating your one-off engagement ring and encourage you to be part of the process to ensure everything is perfect for one of the most memorable moments in your life. 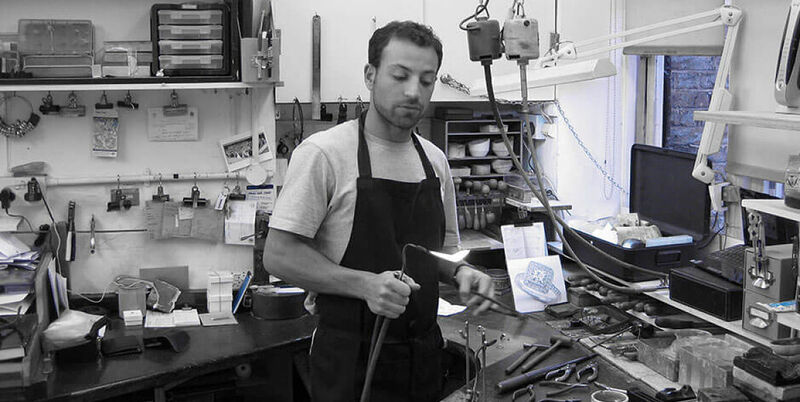 I can call or email you to discuss your bespoke piece of jewellery, exchange ideas and arrange a personal consultation at his Hatton Garden workshop. According to your specifications and budget, I will source a range of gemstones and ring samples for you to choose from. In the privacy of my workshop office, I can show you each element of the piece and explain the characteristics of different precious metals and how gems are graded. Once you have happy with the final design my team will start creating your bespoke piece of beautiful jewellery. As I work on your piece, I will keep you updated throughout the whole process and when it is ready for collection. There is also an option to view the ring before the gems are secured to ensure it fits and the overall look is exactly how you imagined. I am also happy to send photos or create a personalised album, so your loved one can see the whole bespoke process.